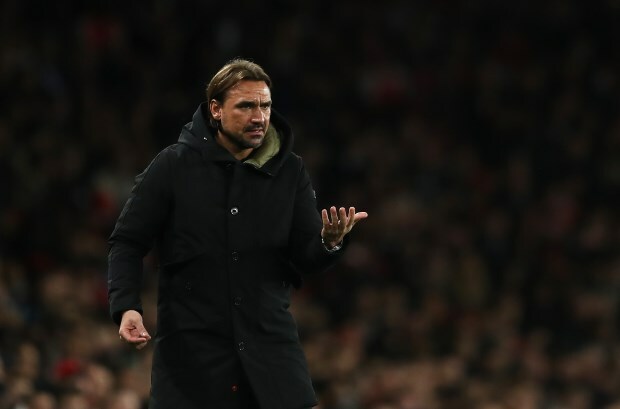 Norwich City manager Daniel Farke insists that the Canaries know all there is to know about Leeds United and dismissed the importance of Marcelo Bielsa naming his team for the game on Thursday. The Canaries, placed second in the Championship, will have the chance to bridge the gap at the top of the table when they visit Elland Road on Saturday. Farke says he has spent time analysing Leeds and feels Norwich know all there is to know about Bielsa's side, even though there are small question marks over how they will set up on Saturday. Bielsa named his team at his press conference on Thursday, but Farke has dismissed the importance of that. "We know everything about Leeds", Farke said at a press conference. "We've analysed them, what style they play. Perhaps there are one or two questions marks, even after Bielsa naming the team two days ago." Bielsa has been heavily criticised for sending spies to watch all Leeds' Championship rivals, but Farke is unconcerned. "It has no meaning at all, the spy topic." Leeds won the earlier meeting between the two teams this season 3-0 at Carrow Road.